I love boats and I love drawing boats! From rusty trawlers to smart dinghies. So what better solution than to join my two drawing passions. And it gave us an excuse to visit Whitby (where Count Dracula came ashore!) to photograph tenders, fishing boats and the seashore. 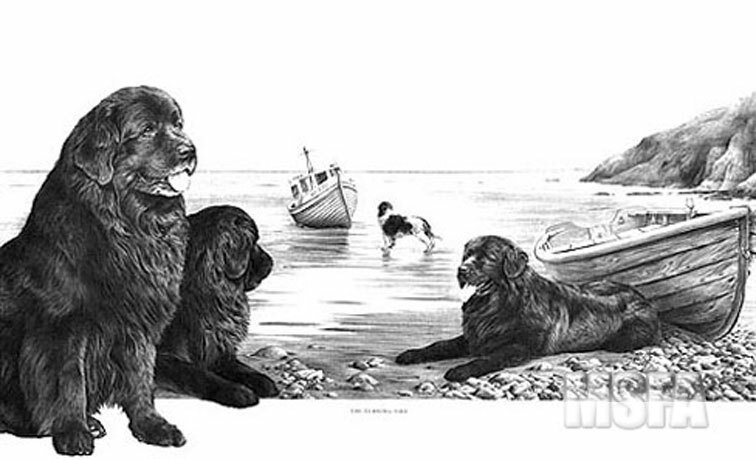 The edition sold out quickly - 58 prints were sold on the day of release at Crufts. The prints are now in much demand — a report from Canada told of one offer of $1500 made on the Internet. Even I don't have a print, only the original, which I will never sell! The original drawing took almost no time at all, just 62 hours 10 minutes to complete. image : 19" × 12"